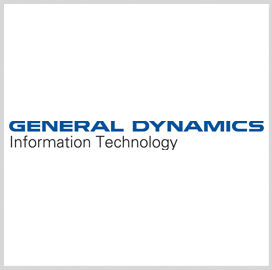 Kelly Ferrell, formerly general manager of intelligence division at General Dynamics’ (NYSE: GD) information technology business, has been promoted to senior vice president and chief growth officer at GDIT, the Washington Business Journal reported Monday. Ferrell will succeed George Batsakis, most recently CSRA’s chief growth officer who was appointed to serve in the same capacity at GDIT after General Dynamics completed its approximately $9.7 billion acquisition of the Falls Church, Va.-based government IT services contractor in April. Ferrell will oversee the Louisiana-based Integrated Technology Center, one of CSRA’s tech delivery facilities. Yogesh Khanna, chief technology officer at GDIT, will directly report to Ferrell and become part of the executive leadership team, according to an internal announcement by Amy Gilliland, GDIT president and a 2018 Wash100 recipient.